Play is the fundamental context for most human learning across ages: activities like exploration, experimentation, innovation, testing the limits, etc. all happens best when playing. The human ability to solve those tasks traditionally difficult for computers has been largely exploited in fields as image labeling (e.g., the collaborative ESP game), pattern recognition (e.g., reCAPTCHA), etc. The use of games and more specifically web-based games for research purposes is a fast spreading phenomenon, changing the way research activities are conduced and how data are generated in many scientific fields. 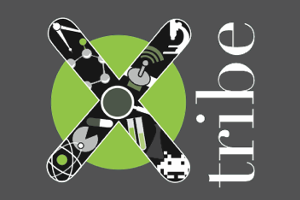 The KREYON team has recently introduced a novel general purpose web-based platform for social computation, Experimental Tribe (XTribe, still in beta version), a platform to run focused web-based experiments aiming at elucidating basic mechanisms at play whenever we learn, create and innovate. KREYON will adopt the XTribe experience to run suitably devised games aimed at elucidating how creativity shows up in controlled experimental tasks. Join the challenge and play with us here.